Fact about moon, pluto and sky. Interesting fact about moon, pluto & sky. 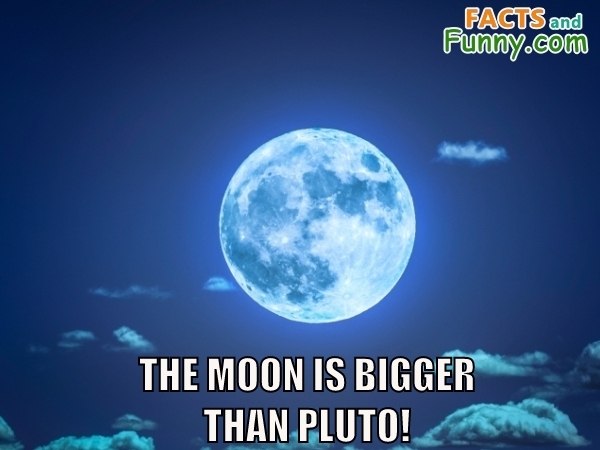 The moon is bigger than Pluto! We find this fact interesting because we had no idea that Pluto was so small!. The moon is approximately 280,000 miles from the Earth. This content was created in January 2019.